Don’t Bother Us, We’re Crabby! If you’ve been to Maryland – the home state of both Samantha and Stacey – you know that is a favorite phrase of the locals. Another local favorite? Blue crabs steamed and smothered in Old Bay seasoning. 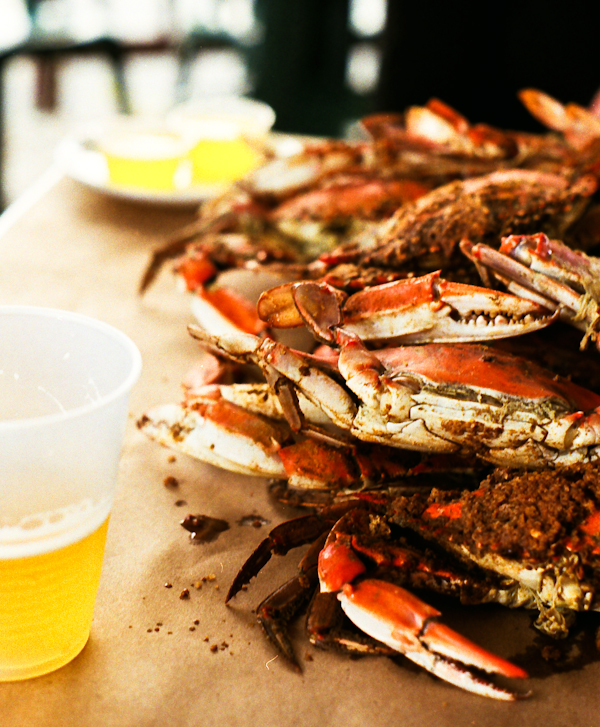 Our lips are tingling just thinking about Old Bay! With the end of summer, some might think that delightful burning sensation is just a memory until next June. But wait! Good news! Blue crabs are often available through October. And what’s more is that clawing and picking your way through a heap of steamed crabs isn’t the only way to enjoy their sweet and salty flavor. For this week’s post, we talked to Honey Konicoff, marketing vice president at Phillips Foods of Baltimore, about enjoying crab all year round. 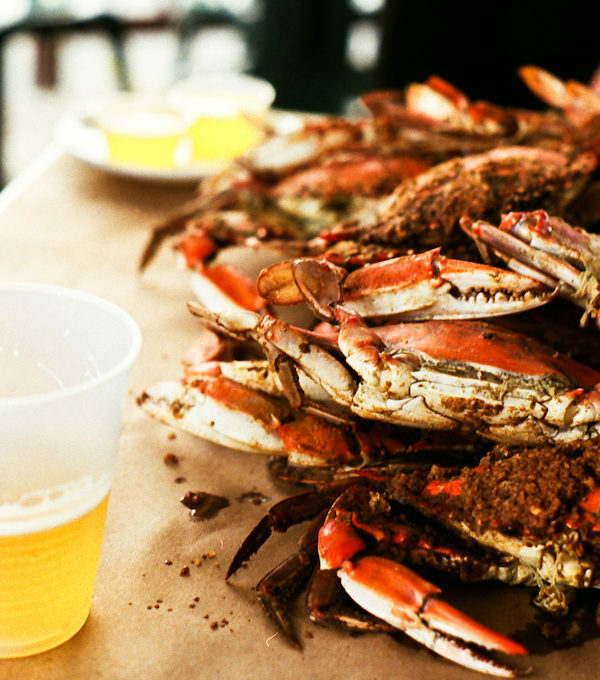 There’s a myth that as soon as summer ends, so does the crab season. But Honey gave us the scoop: “As fall approaches, thoughts turn to cooking with crab rather than digging them out of their hard shells. Come September and October, once demand starts to decline, the supply is readily available. Pricing begins to drop off, yet you still have a nice supply.” That’s good news for folks in the Mid-Atlantic region. What about enjoying crab in other areas of the U.S? Honey shared some helpful hints about buying crab in the chilled seafood section of the grocery store. Phillips, and several other companies, produces blue swimming crab meat, a cousin to the domestic blue crab, in Southeast Asia. They pasteurize the meat for a 12-month shelf life, and it lasts about 48 hours after opening. Pasteurized crab is produced at the height of freshness, much like fish that is frozen while still at sea. You’re getting that just-caught taste when opening the container or defrosting the fillet. You can expect the crab to have a milder flavor, fewer shell fragments, and a number of meat sizes. Your price point and recipe can determine what size lump meat you purchase. Check out Phillips’ guide to “Understanding Crab Meat” sizes for in-depth descriptions. 1. In a 2 c. serving bowl blend mayonnaise and wasabi paste together and fold in crab meat. 2. Chill until ready to serve with raw veggies and optional avocado and crackers, if desired. The sweet flavor of crab meat offers a high quality source of protein, while remaining low in fat and calories. Crab also contains some omega-3 fatty acids, and is a good source of several vitamins and minerals, including iron, zinc, phosphorus and B12. If you’re from Maryland, you’re probably well aware of Phillips, but for those who are new to them, they basically put the crab cake on the map. Stacey visited its Baltimore headquarters a few years ago and can attest to the fact that all Phillips crabcakes are made by hand. And they’re delicious. How Stacey Got the Shot: On Fuji Superia film. ISO 200. Very wide aperture, probably about f/2.8. This is great – thanks so much for all this information! I love crabs and will be sure to try the blue swimming crab meat! Love the info – Its nice to get the specifics from someone “in the know”.